Diabetes is one of the scammer’s favourite health problems. Many millions of people across the Western world suffer from Diabetes type 1 or II or are diagnosed as pre-diabetic meaning they need to change their lifestyle and lose weight to avoid becoming diabetic. 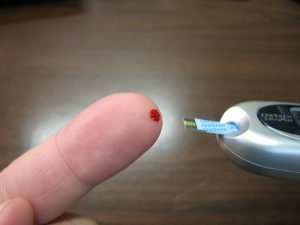 So, many scammers put out messages claiming to have a diabetes cure – perhaps some exotic fruit or unusual combination of foods or they claim to have found the real cause of diabetes (too many people are easily duped with the idea of a conspiracy) or maybe access to new research that provides an answer. There are endless possibilities for the scammers and many targets for their lies. A latest such scam claims to be from Karen Reddel, President of Omnivista Health Learning. She claims that taking one teaspoon per day of a natural substance cures diabetes. But if you stop taking it then your diabetes comes right back. Plus there’s no need for exercise or a diet. Next it claims that the substance is 400 times stronger than the best medicine. There is no medicine to cure diabetes – for diabetes type I the only answer is taking insulin and for diabetes type II doctors recommend dietary changes and exercise. There are some drugs doctors prescribe in cases where the diabetes is type II and diet and exercise haven’t been able to provide sufficient improvement. These drugs are effective in reducing the symptoms for some people but have only a marginal effect for others. It is cruel to tell people they can cure diabetes type I. Diabetes type II is predominantly a lifestyle illness and people with it MUST change their diet and take more exercise. Anything else is madness and a supposed instant diabetes cure is just a cruel trick to play on sick people.